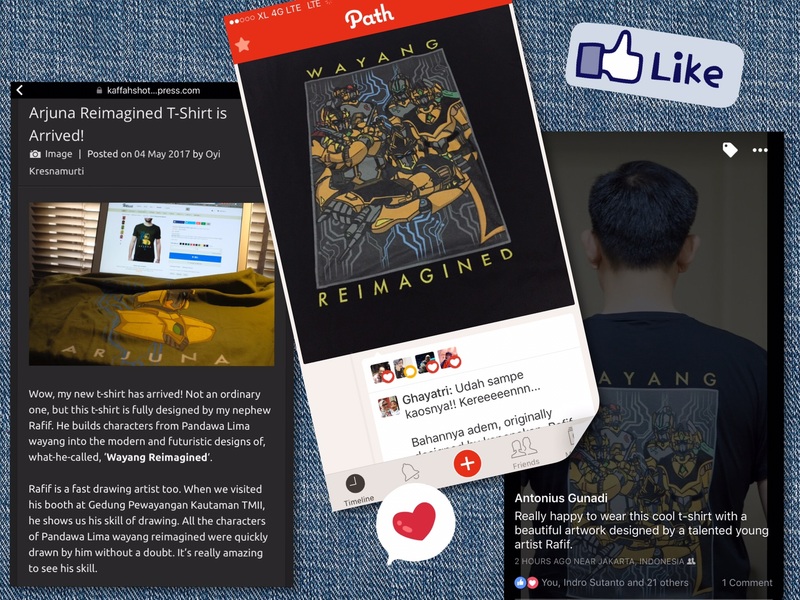 Following his exhibition at Gedung Wayang last week, Rafif also launched his online store for Wayang Reimagined merchandises. Using tees.co.id as the platform, Rafif Satrio Works stores caught attention some of our relatives’ eye for its cool design and noble mission. For first week, over 40 merchandises have been sold. Given we didn’t control the production, Rafif and I were quite nervous with the quality of the merchandises. Thank you to Pakde Oyi Kresnamurti, Oom Antonius Gunadi and Tante Shima Nursanto, for being Rafif Satrio Works’ first happy customers!